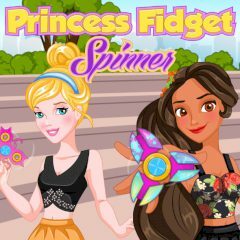 Dress up princesses and give them spinners to match their style! Are you ready to play with spinners? Wait, you need a marvelous outfit to fit in the look. Get clothes from the closet and find a spinner of your dreams!